Hey there. You may have come across this post via your son/daughter, you may be a young person yourself looking for a way to help your parents understand or maybe you’re a parent looking to further widen your understanding of Obsessive-Compulsive Disorder to help aid your child in their recovery. If so, then I hope to be able to shed some light on an often puzzling and unfortunately stereotyped world of OCD that can be the reality of approximately 300,000 young people in the UK alone and what, as parents, you can do to help your son/daughter in their fight against OCD. Now I’m not a trained professional by any means, just a 16 year old girl who has grown up suffering severely with OCD and wants to provide as much support as possible to those around her. OCD can be a scary and often debilitating condition for the majority of sufferers. This can be even more prevalent within children and adolescents, due to the added pressures surrounding growing up and discovering who you are as a person. As parents, it can be extremely difficult to watch your child suffer due to the grip of OCD and, as a young person, it can be very difficult to convey the thoughts hurling though our minds and to explain the compulsions that take over our daily lives. This gap in understanding can sometimes lead to arguments and misunderstandings between you and your child, which can end up feeling like an endless cycle. As a young person myself, I know that there were so many things I wished I could’ve explained to my parents, but were unable to at the time. So I’ve henceforth tried to put together a list of tips for you as parents, that will hopefully make the prospect of battling OCD alongside your child less daunting. Their obsessions are just as (if not more) distressing than the physical compulsions. The first thing you may notice are the compulsions your child is carrying out. Compulsions can often be mistakenly seen as the only effect of OCD and thus the only thing that needs to be combated. However, in reality, the thing that is actually driving your child to carry out the compulsions are the obsessional thoughts. Obsessions can usually be categorised as unwanted, persistent and uncontrollable thoughts/fears/images/doubts that enter the mind on involuntary basis. They can cause the your child significant distress due to their intrusive and repetitive nature and so to combat these feelings of distress, your child may carry out physical or mental compulsions that alleviate the anxiety short term, but ultimately the cycle will inevitably repeat itself over and over again. The content of these intrusive thoughts can be absolutely anything. 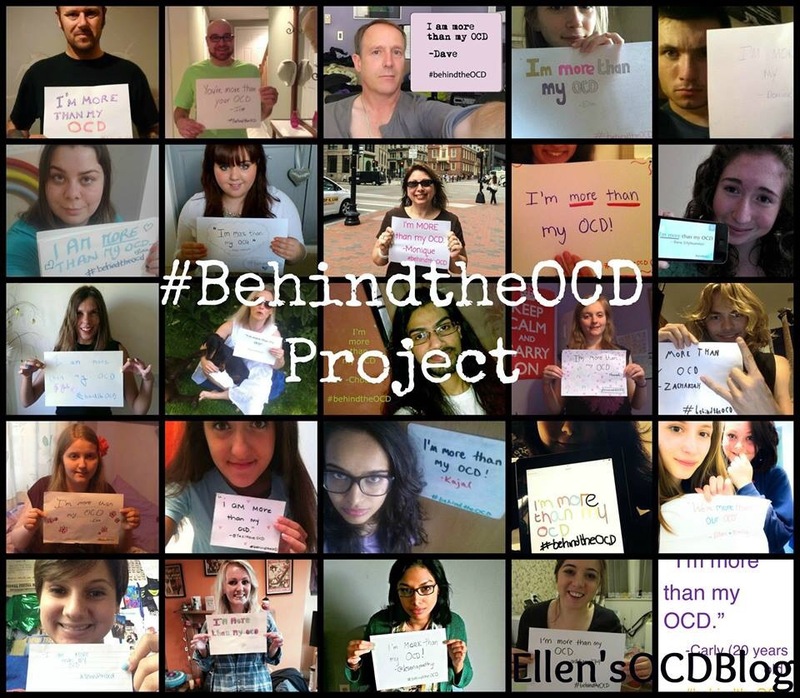 OCD does not discriminate when it comes to what it can latch onto. Obsessions can be an extremely personal and daunting thing to open up about. Your child may feel great amounts of shame surrounding these thoughts due to OCD’s manipulative nature and so may hold back with disclosing information surrounding their thoughts…which brings me onto my next point. As stated before, obsessional thoughts can be an extremely anxiety provoking aspect of OCD to open up to you about. Sometimes a straight up conversation about these things face to face can be too tough for your child to go through at this point. So it is important that you allow other ways in which your child can communicate with you on a maybe less direct basis. For example texting or writing about it. This can be a great way to allow your child to feel less pressured, but also allow an easy, accessible and nonjudgmental method of communication if they feel able to open up a little. I specifically want to focus on the word nonjudgmental here as it is so so important that your child knows that you will not judge them when it comes to any aspect of their OCD from the very beginning. Especially their obsessional thoughts, as the fear of judgment can be one of the pivotal reasons as to why they may be holding back from talking to you. We know that our thoughts, fears and compulsions are irrational and it can seriously be one of the most frustrating aspects of OCD. Imagine being fully aware that tapping the side of the mirror won’t actually do anything, but being so crippled with anxiety and fear that you can’t actually rationalise and stop yourself. The deadly ‘what if‘ thoughts just come crashing in and take over. We understand it can be so difficult to comprehend and understand why we can’t just ‘stop’, but it can be equally just as distressing when you get angry and frustrated at us about it. However, if you do find yourself getting angry and upset at your child don’t beat yourself about it. OCD not only affects the sufferer, but family and friends too, so you will probably be feeling a lot of distress and pressure yourself. As with anything, if you do end up having an argument with your child, make sure you talk to them afterwords to clear the air and also explain your side of things too. Understanding on both sides makes for a stronger team. As parents, its natural that you are going to want to protect your child from as much distress as possible and seeing them suffer from a condition such as OCD can be really gut wrenching. All you want to do is take away the fear, take away the upset and make things okay again. Unfortunately, you can’t fix your child’s OCD, as much as it would be amazing if you could. It’s a process that takes time, there will be low points, there will be high points, but with the right support network and CBT, it’s very much possible to make a very strong recovery with OCD. It is so important to just be there for your child and support them in any way you can, but inevitably it’s important that you understand that you cannot solve their OCD yourself. This triangle in therapy can be a tricky one to maneuver. As a young person myself, I know it can be important to have that space to talk to someone other than my parents about how I’m feeling, but I also now understand that it’s so important that the three way communication between parents, young people and their therapist is an open one. This must be done carefully however, through talking to both your child and their therapist so you can work as a cohesive team and so as to not overstep your child’s boundaries in what they want to share, as their therapy is their own private, confidential space to talk about things. Another thing that I feel is important to address is how you may feel if you make the observation that your child can be more open with their therapist than with you yourself. From my experience, the reason why I felt more comfortable with my therapist was because of the fear of upsetting my parents. I didn’t want to worry them or cause them any more distress than I already was. I was also ashamed of my thoughts too, so having a professional who specialised in understanding my way of thinking allowed me to take the first step with opening up. If this is the case with your child, it does not mean that you have been a bad parent. Your child still very much loves you and most probably just wants to protect you from upset, so again this is why it is important that you try and keep yourself within the loop of therapy, even if it’s just loosely, to help further understand your child’s recovery process. Battling OCD can be very tiring and can often present itself with an obstacle course of negative pit holes that we all too often fall into. However it is very much important to celebrate the successes your child makes along their recovery no matter how small they may seem to you. To an OCD sufferer, simply wearing earrings may be a monumental achievement, so don’t overlook it. Make sure you take the time to celebrate those small successes as it can be such a great boost and motivator. Make a list of things that you could do with your son/daughter for these moments, even if it’s just ordering their favorite takeaway one night. Little pockets of happiness are so crucial when you suffer from OCD, so it’s so important to make the most of them. Being a parent to a child of any mental health condition can be hard, but things can improve. It’s so important to have faith and courage, even when your child feels like they can’t. Things will be okay. I really hope this helped in some way, shape or form. Feel free to leave a comment if you have any further questions. Wonderful post, Ellen, with such great suggestions. I especially like what you say about parents needing to understand why their child needs privacy with his or her therapist, and that the parents shouldn’t feel slighted. Great job! Very good advice and insightful recommendations, Ellen! In a good way I hope?.. I have seen family members suffer for years with OCD. One of them would get so upset that they could not get out of bed on some days.